The global mice model market is expanding on account of the striking relevance of these models in performing biomedical research. Since the genetics, physiology, and anatomy of mice is perplexingly similar to that of humans, mice models are extensively used for conducting several researches concerned with the human body. In recent times, the discovery of new drug molecules is followed by their testing on samples of mice, which is in turn followed by inferences about human diagnostics. Moreover, the mechanism of several diseases in the human body can be compared to that of mice. Hence, the testing, diagnosis, and impact of diseases along with their counter mechanisms are studied on mice models. This has been a substantial propeller of demand because new diseases and disorders are being continually tested and scrutinized. Another key factor that drives demand within the market is the development of improved mice models that can assist the research framework. Inbred mice models are an important model type that has gained popularity across the research circles. The ease of reproducing data along with the low cost of these models against others has been the primary factor behind their popularity. Amongst all the regional markets, the market in North America has exhibited a plush growth patterns over the past years. Europe is also expected to tread a positive growth path in the coming times. The prominence of these regions owes to the wellness of their pharmaceutical industry and favorable policies for conducting medical research. Some of the key market vendors are Charles River Laboratories, Harlan Laboratories, The Jackson Laboratory, and Taconic Biosciences. The global mice model market has been growing at a healthy rate and is likely to continue at the same pace in the near future. A significant rise in the biomedical research in the healthcare and pharmaceutical sector is anticipated to accelerate the growth of the global market in the forecast period. The expansion of the application base and the rising competition among the leading players are projected to supplement the growth of the global mice model market in the next few years. The ongoing innovations in the mice models and the rising demand for personalized medicines across the globe are some of the important factors that are predicted to augment the growth of the global mice model market in the next few years. In addition, a significant rise in the number of research and development activities in the pharmaceutical sector is predicted to contribute tremendously towards the growth of the overall market in the next few years. On the other hand, the rising use of rat models for several research activities and the rising benefits from cryopreservation are projected to restrict the growth of the global mice model market in the coming few years. Nonetheless, the rising number of advanced mice model is likely to increase the acceptability and applicability in the near future, which will encourage the market’s growth. The advent of Crispr, which is being used as a strong tool in the biomedical research and the growing demand for humanized mice models are projected to fuel the growth of the global mice model market in the coming years. In addition, the increasing preference for mice models for research activities for rare diseases is anticipated to generate promising growth opportunities. 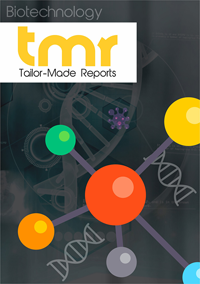 A substantial rise in the monoclonal antibody production is likely to contribute towards the overall development of the global mice model market in the coming few years. According to the regional segmentation, North America is estimated to account for a massive share of the global mice model market and remain in the topmost position throughout the forecast period. Europe is estimated to register a significant growth and attain a second-leading position in the next few years. The presence of a large number of established pharmaceutical sector and the rising research activities for advanced biosciences are the key factors anticipated to fuel the growth of the mice model market in North America and Europe in the near future. Furthermore, the Asia Pacific market for mice model is expected to register a remarkable growth in the next few years, thanks to the tremendously rising demand for transgenic and knockout mice models. The rising contribution from India, China, Singapore, and Malaysia is another factor aspect encouraging the development of the Asia Pacific mice model market throughout the forecast period. The market for mice model is high competitive in nature owing to the presence of a large number of players operating in it across the globe. The expected rise in the number of players entering the global market is predicted to enhance the level of competition in the coming few years. In addition, a tremendous rise in the research and development activities is projected to benefit the key players in the global mice model market throughout the forecast period. Some of the key players operating in the mice model market across the globe are Laboratory Corporation of America Holdings, Horizon Discovery Group PLC (Sage Labs, Inc.), ENVIGO, Ingenious Targeting Laboratory, Trans Genic, Inc., Harbour Antibodies Bv, Janvier Labs, The Jackson Laboratory, Taconic Biosciences, Inc., Genoway, and Charles River Laboratories International, Inc. These players are making notable efforts to expand their market presence and gain a competitive edge across the globe.